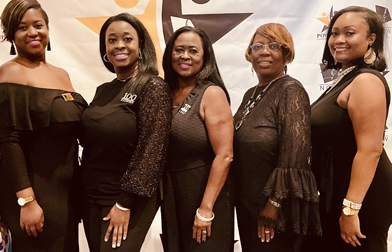 Welcome to National Coalition of 100 Black Women (NCBW) - Decatur-Dekalb Chapter, Inc.
On behalf of the National Coalition of the 100 Black Women (NCBW) Decatur-DeKalb Chapter, I am pleased to welcome you to navigate through our site. It is a very exciting time for us as an organization and we are ready to “LEAD with a Purpose for Positive Changes in Our Communities”. The need for our activism is clear based on the unprecedented social challenges we face today. Yet, we are motivated about the possibilities and pray our efforts will make a positive impact as we continue our mission to advocate on behalf of black women and girls to promote leadership development and gender equity in the areas of health, education and economic empowerment. Decatur-DeKalb Chapter provides forums that address the educational needs of our youth. We have built a strong leadership and mentoring Legacy Program for the development of young girls 9th through 12th grades and providing scholarships to deserving high school senior girls. Our agenda is also intended to promote financial awareness and economic empowerment and to encourage the completion of a college education and the seeking of career opportunities in science, technology, engineering and mathematics. All these commitments and paths of opportunity serve Black women, our families and the nation well. We are concerned about the wellbeing of our community and our goal is to raise awareness about illnesses that disproportionately affect the African-American community such as HIV/AIDS, hypertension, diabetes, breast cancer and mental health. We are committed to driving an agenda to close the gap in health disparities; and to elevate the conversation about and solutions to child obesity, human trafficking, mental health, teen and unplanned pregnancies. Our economic development and empowerment programs are comprehensive workshops and seminars that promote economic self-sufficiency. NCBW implemented the action to collaborate with public officials, faith base and social justice organizations to advocate for a Livable Wage. We are excited and proud to conduct Legislative Days at the National and Local level to effectively engage elected officials and policy makers and to meet with key Legislators, committees and organizational leadership on advocacy issues. You will find the women of NCBW very committed, dedicated, warm and caring but most of all, each of them share the passion for effective advocacy. We are truly committed to developing the leadership capacities of our members to ensure a continuing pipeline of women of color to serve as leaders in every facet of civil society. If you have interest in joining our chapter, please contact our Vice President of Membership and Chapter Development, Miriam Jackson, at vpmembershipncbw@gmail.com. The History of the NC100BW Decatur-DeKalb Chapter Inc. The National Coalition of 100 Black Women Decatur-DeKalb Chapter, Inc. was founded in 1989 with 100 chartering members. 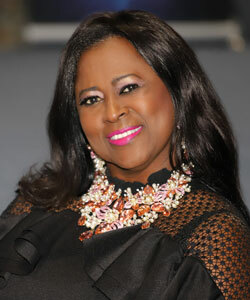 The Chartering President was Louise Turner. In 1996 the Decatur-DeKalb Chapter began its signature program, The Legacy Program, a leadership development program for African-American girls in grades 9-12 in DeKalb County. The Legacy Program received a grant in 2008 from the Tony Cox Foundation to produce Public Service Announcements educating DeKalb County's youth about preventing the spread of HIV/AIDS. This began the award winning, "Do You Know?" HIV awareness and prevention campaign. In 2003, then president Pamela Stephenson created our signature event, the Pink & Black Ball to recognize breast cancer survivors and advocates for their work in the community. It was also used to raise funding for The Legacy Program. In 2011, the Decatur-DeKalb Chapter received two national recognition awards during the 15th Biennial National Coalition of 100 Black Women conference for its overall programs to the community and its health programs. The chapter also holds political forums and financial education seminars each year to create an awareness of issues that will positively or negatively affect our daily lives in DeKalb County. The National Coalition of 100 Black Women is a non-profit volunteer organization for American women. Its members address common issues in their communities, families and personal life, and promote gender and racial equity.